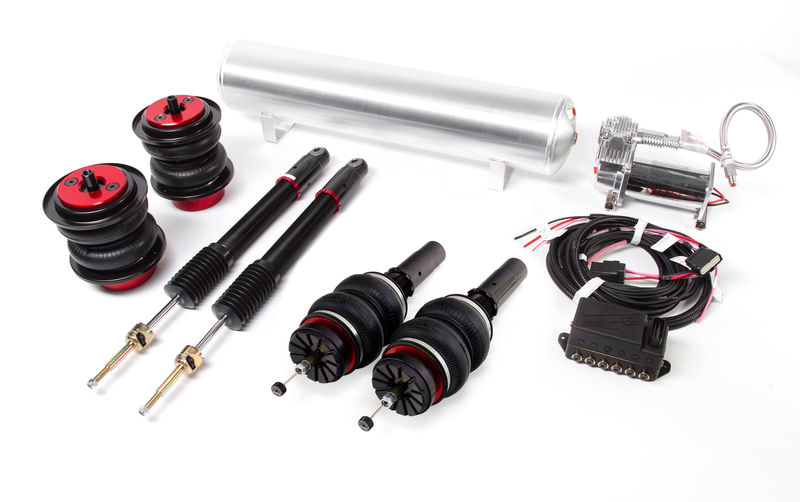 This high-performance threaded body air suspension kit has been improved with a revised upper mount for 2016. At the push of a button, the kit will deliver exceptional ride quality for the B8 platform, using the latest air suspension technology. And it’s simple to clear even the biggest road obstacles and steepest driveways – no more wrenches needed to adjust your coilovers for a lowered look! Simply tap a preset and your Audi is transformed with a sophisticated, lowered stance. Up front, Air Lift Performance has coupled smooth riding double-bellow bags with monotube 30-way adjustable dampers. This allows you to change the damper settings from soft through to a stiff performance set-up at a convenient twist of the damping adjuster. 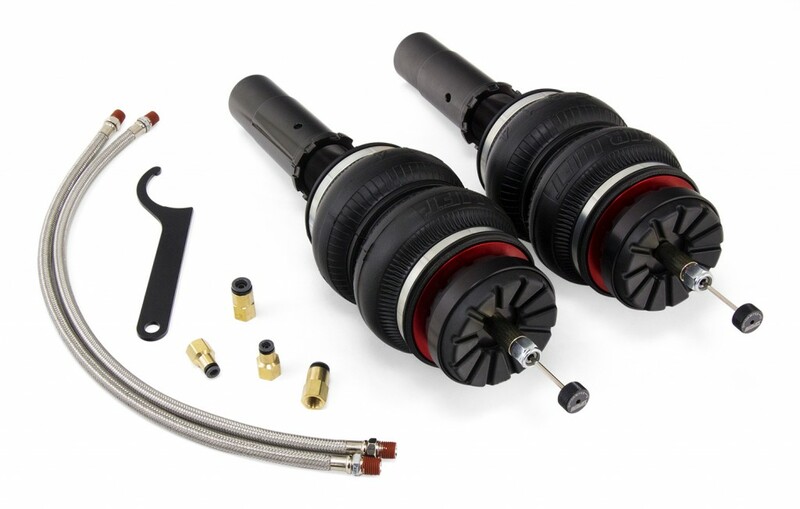 Furthermore, each strut features a threaded body allowing you to perfectly setup the vehicle by changing the position of the lower mount on the strut. For the rear, Air Lift Performance has employed the use of 2B6 bags along with brackets that simply bolt on to the chassis – no cutting is required. Couple Air Lift’s smooth riding bag system with the ingenious damping set-up and the result is nothing short of incredible. The A4 B8 threaded body kit is available with a range of Air Lift Performance management options, including the innovative 3H height and pressure sensing system. Air Lift used a state-of-the-art 32-bit processor, advanced height + pressure algorithms plus a full color controller with built in Bluetooth connectivity to make 3H the most advanced air management system yet.